Scooper - Technology News: What will food systems look like in Southeast Asia in 2030? This month, over 120 leaders from Asian governments, global and regional companies, international civil society and farmers’ organizations will convene at the Grow Asia Forum 2017 , hosted in collaboration with the World Economic Forum, to explore critical issues facing agriculture in the region and make strategic decisions that will help to ensure the sustainability of food systems. Grow Asia is a multi-stakeholder partnership platform established by the World Economic Forum in cooperation with the Association of Southeast Asian Nations (ASEAN) Secretariat. The platform facilitates collaboration to enable agricultural development in South-East Asia, focusing on smallholder farmers and environmental sustainability. What is needed to enable multi-stakeholder partnerships to address the needs of smallholder farmers in South-East Asia and build a sustainable future? “Smallholders have the greatest potential to grow more food for the world, and they don’t always receive full value for what they produce. A sustainable value chain that supports smallholders can help them continue to farm in a profitable and responsible way. Partnerships can unlock the contribution of the value chain, bringing the skills and resources from different players to the table, but commitment is key. Partnership models need to go beyond Corporate Social Responsibility, and that means considering the commercial needs of the private sector and the development agendas of public organizations. This is where collaboration platforms like Grow Asia come in, bridging objectives and channelling resources to achieve a beneficial, sustainable outcome for all involved. In Indonesia, we co-developed an Integrated Supply Chain Corn Partnership to provide micro-financing to farmers and help them access markets in West Nusa Tenggara. This is a partnership that involved banks, local retailers, and grain traders. 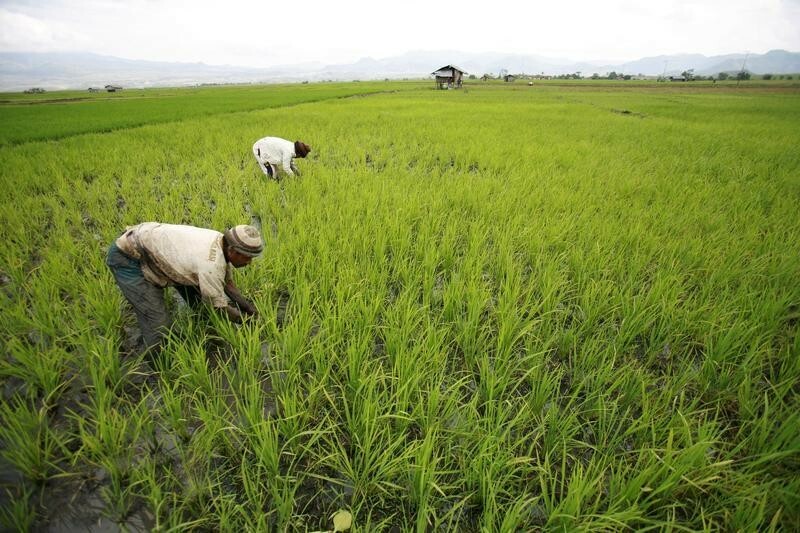 The farmers increased their productivity by 10%, earning IDR1.8 million more per hectare. For the businesses involved, they get new markets and a steady source of quality supply. “Multi-stakeholder partnerships typically involve government, civil society organizations and businesses allying to support the shared interest of sustainable development. The advantage of expanding from a bilateral partnership between NGO and smallholder or plantation company and smallholder, for example, is that opportunities to increase scale and impact can occur, particularly with the involvement of sub-national government. Food security may be addressed in several ways, from ensuring people have access to land and inputs to growing economic livelihoods so that increasing wealth negates the need for subsistence production. To increase the effectiveness of multi-stakeholder partnerships we should concentrate on discrete geographies and local legal or policy spaces, thereby avoiding dissipation of effort. Multi-stakeholder partnerships can work most effectively within political geographies by gaining backing through the frameworks supported by sub-national governments. An important first step for rural development is knowledge. To serve the needs of smallholder farmers, it is first necessary to understand their basic health, education, and livelihood resources; map the geographies in which they are located; chart the value chains they supply; identify land tenure issues and productivity issues; illustrate formal and informal organizational arrangements and understand risk aversion strategies and alternative means of livelihoods; amongst other vital information. The presence of NGOs in multi-stakeholder partnerships helps ensure that development does not become a top-down process. All stakeholders should participate in decision making and implementation processes. Participation creates ownership, leading to greater potential for institutional sustainability. In the global free market, all actors should encourage smallholder farmers to build partnerships to ensure mutual benefit, harmony, food security and sustainable development. However, collaboration within the production stage alone does not necessarily lead to better profits and security for the farmers. Raw materials are often sold at low prices and within an unstable market. Based on our 10 years of community and rural development experience, Farmer Nature Net (FNN) strongly believes that only agricultural value chains can truly empower smallholder farmers and ensure food security and sustainable socio-economic growth. The public sector can help deliver legal framework protection, and can invest in agricultural infrastructures such as irrigation, roads and power. The government can play a facilitator role between farmers and private investors, and should monitor the import and export of agricultural products and inputs. They must also provide access to better markets and finance, enabling producers to invest in the agriculture sector. As smallholder producers, we hope to see a strong commitment from local authorities and central governments to protect groups in terms of saving and credit. The private sector should deliver a good and faithful cooperation with smallholders and the public sector through, for example, contract farming and pre-paid or revolving funds. Companies must abide by national laws to guarantee mutual benefits and ensure the sustainability of multi-stakeholder partnerships. Farmer organizations play a key role in multi-stakeholder partnerships by linking farmers with the public and private sectors and helping to guarantee that supply meets market demand. They can provide education and training to farmers on crucial elements such as entrepreneurship, financial management, business development and understanding of food security. However, the most important role of a farmer organization is to represent smallholder farmers and advocate policy development and changes. So far, FNN’s best successes have been achieved through forming and strengthening self-help saving and credit associations, establishing rice-mill cooperatives and linking farmers to the markets. In our January 2017 update, we reported that the saving capital of self-help groups has increased to $28,162,199, collective funds to around $832,000, reserved funds to $22,823 and social funds to $80,003. Four FNN rice-mill cooperatives are actively functioning. Nineteen agricultural cooperatives have become members of FNN, and we now have 8,250 members (3,185 of whom are female) with capital at around $323,600 through businesses including rice and rice-mill cooperative businesses, fertilizers, vegetables, poultry and animal feed mills.